Welcome to the weekend. 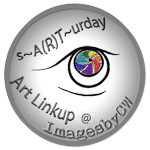 Welcome to Saturday art link up! And I definitely want to see them! Like soon. Or better yet – now. Spring is really taking its time this year, don’t you think? Or is it just me? Or just around here that it seems so late? In any case, it makes me yearn for some spring art, summery pictures and to go outside and find the first signs of spring. But that’s not going to happen any time soon. For me that is. Not as long as I am hopping along on crutches, meaning maybe another two weeks? Not sure if a walking boot is going to be that much better at first, but that is what I am hoping for. Until then I will be stuck with older photos. But, who am I kidding, I have got thousands of them. My Lightroom catalog tells me that I am at 75000. Time to crack the 100000. Mind you, that is digital only, not counting all the films I shot that are still waiting to get scanned. Which will probably happen when I retire. So, not very soon. Below picture was definitely created with spring in mind. A couple of my photos, which I processed in Photoshop and Topaz, then added some textures, some more Photoshop mojo and here we are. Do you have signs of spring in your area yet? Do you work with those signs in your spring art or do you prefer to pull out older material? I love today’s art Claudia – and a wonderful quote as always! Thank you, Ramona. I appreciate you faithfully joining me each Saturday linking up your beautiful creations! Picture is beautiful. Love those colors. Spring for me does not start until April 16. Although I do try to look for flowers sometimes I don’t get to see them until after tax season is over. Thank you, Laurie. I hope you enjoyed your Easter weekend. Neither have I! 🙂 But I can dream of them and create a picture with them. This looks so amazing! The mood and the colors are just stunning! And yes spring is a bit late in here as well. Thank you very much, Merlinda, I am happy you like it. Today it almost feels and definitely looks like spring weather outside, but nature has a lot of catching up to do. This looks like it was painted by an artist. I love the way that you put this together, it may not have been painted with a brush, but it is a piece of art for sure. Love it. Thank you so much, Nikki. It really brightens my day to hear you say this. To those unacquainted with Photoshop or other editing software it often seems like lesser art if an image is created digitally only. But I am using brushes and pens and papers etc. etc. just like I would if I painted with real oil or water color, as I have done many years ago. These days this is my choice of media. Hopefully I will see you again next Saturday. Yo are welcome. And thank you very much, Darren, for your kind words and for the opportunity to link up every Sunday over on your site. 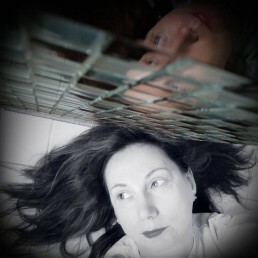 Claudia, I’m so glad I’ve discovered your blog – your work is absolutely beautiful. I look forward to participating in your prompt. This image you’ve edited is gorgeous. Your comment makes me real happy twice. 1) they come from a fellow artist ‘who gets working digitally’ and 2) you’ll be back linking one of your beauties next week. Thank you, Sherri! I have no signs of Spring really. The snow has pretty much melted away — but we are left with dirty, brown grass ….and lots of mud! which doesn’t a pretty picture make. I did spy a robin in my tree, but the cat jumped up to the window to see as well and scared it away before I could snap a picture. So for now, I am stuck with old photos too. Yep, you and me both. Old photos, no spring yet. Today it does look like spring outside, probably also feels like it, but I’m stuck inside for now. I just read your Coffee Chat prompt – hmmm, I’ll have a hard time finding anything spring like. I guess I’ll have to go into the archives again. Thank you, Susi. Butterflies are so pretty, right? I cannot wait to see them around here. But honestly I’d probably see more on Bonaire or OBX or possibly when out biking (whenever that is going to happen this year). What a lovely painting with such depth of colours. I can only dream of creating something like that. At least, at least our real butterflies are out and about to admire in all their beauty and you are right – spring has taken her time to arrive this year. Thank you very much, Rosie. Maybe one day you will take your dream a step further and it will become reality 🙂 Maybe when our spring and summer finally arrive I will be able to get some more photos of butterflies, for winter will come around again for sure. I love yours! It’s so pretty – it makes me feel like Spring might actually come! Mine – meh. I did manage some things; still learning others. but I did get the overall sense of what I wanted to create. just needs some fine tuning. And I am finally getting around to work on my website 🙂 Thank you for pulling through and making the time, Leslie. And, never give up! There will always be fine tuning of some sort.